This 50 pieces Best Kids Toys are very suitable for young children to play, educational toys for toddlers can promote the child's imagination, to increase contact with parents, reach every dual role. 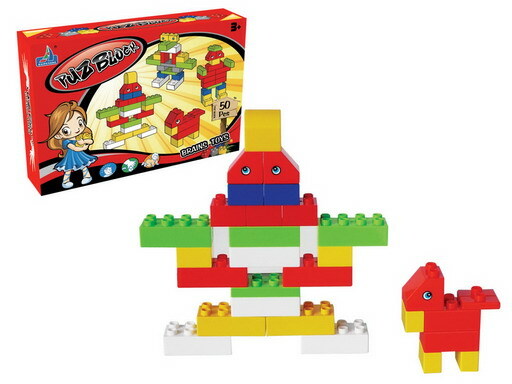 Toy Bricks will enable you to executive the detail and cognitive skills during play , it is a wonderful puzzle game not only good for children but also adult. Challenge their mind with puzzle-like creations, improve fine motor skills and dexterity while keeping them engaged for hours. Looking for ideal Educational Toys for Toddlers Manufacturer & supplier ? We have a wide selection at great prices to help you get creative. All the Best Kids Toys are quality guaranteed. We are China Origin Factory of 2 Year Old Toys. If you have any question, please feel free to contact us.